Manufacturer of a wide range of products which include ampoule vial tray and ampoule trays. We are offering Ampoul Vial Tray. The Ampoule Trays is reliant on Just In Time Procurement for its packaging needs. 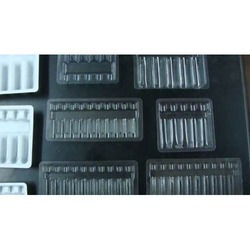 We cater to the pharma industry in ampoule trays of different sizes (the entire range) in whatever material required. The Ampoule Trays is reliant on Just In Time Procurement for its packaging needs. 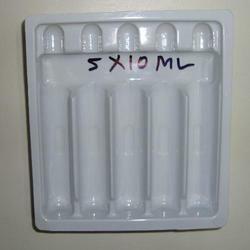 We cater to the pharma industry in ampoule trays of different sizes (the entire range) in whatever material required. Our production is done in our clean room facility with proper care to ensure minimum human contact with the material. Looking for Vial Tray ?